"Ugh, this merge conflict is really bad," says Barbie. "Why did they have to modify 50 files at once?" 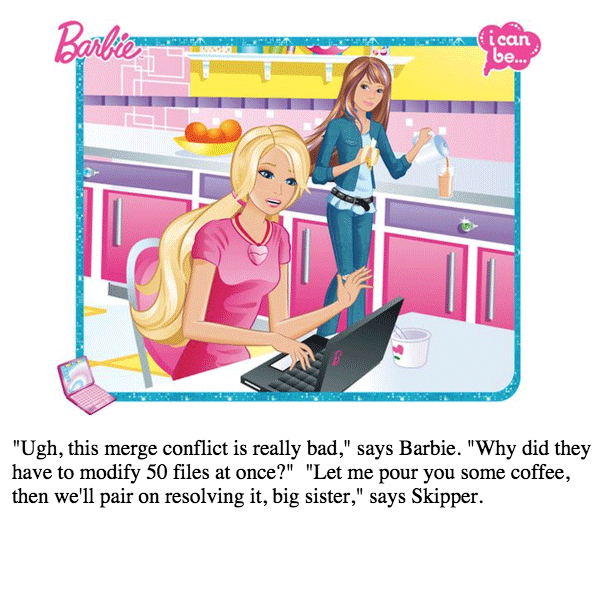 "Let me pour you some coffee, then we'll pair on resolving it, big sister," says Skipper.